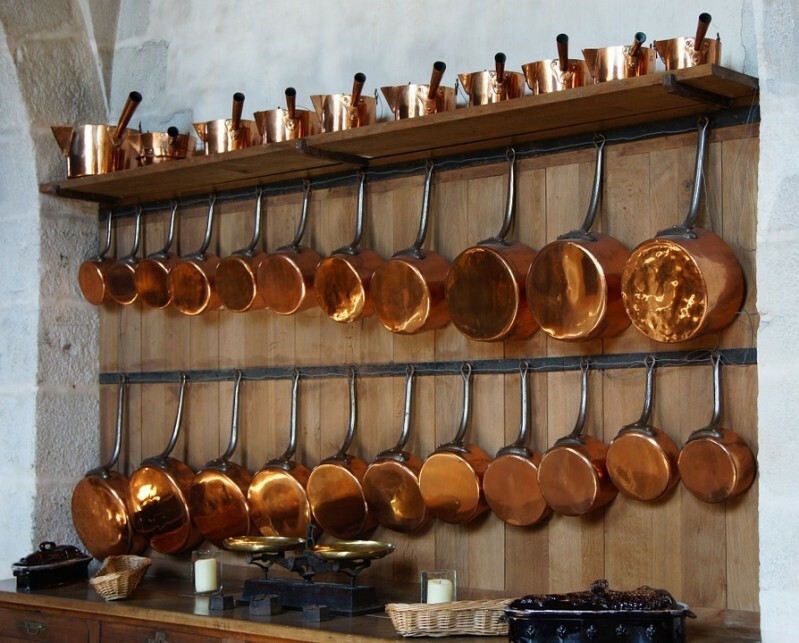 Blog What Are the Benefits of Copper Pots and Pans? Copper cookware is certainly beautiful, but it is also a very durable material, making it an incredible value. Copper cookware is also excellent at thermal conductivity…a must for precise cooking. A copper pan or pot will heat up, and then effectively reach and maintain the temperature you desire much quicker than most other cooking materials. Aside from providing perfectly event heat, Copper cookware is also easy to clean. It only requires two, non-toxic ingredients you already have in your pantry. Simply add salt to a halved lemon and scrub with the face of that lemon. For more stubborn stains, such as pot bottoms, just make a past from salt and lemon juice and scrub periodically while letting your cookware rest in it for approximately a half hour. Once you get your copper cookware back to its gorgeous gleam, it can beautifully double as kitchen décor. With copper cookware, your initial investment may be a little more, but it will pay for itself over time with its high performance, longevity and beauty. For an enormous selection of the highest quality, most affordable kitchen supplies – including a wide array of copper cookware choices – visit housewarewarehouse.com. Houseware Warehouse is the leading wholesale kitchen supplier in the United States.